Science. 2016 Apr 1;352(6281):54-61. doi: 10.1126/science.aad9642. Epub 2016 Feb 25. Defects in the mitochondrial respiratory chain (RC) underlie a spectrum of human conditions, ranging from devastating inborn errors of metabolism to aging. We performed a genome-wide Cas9-mediated screen to identify factors that are protective during RC inhibition. Our results highlight the hypoxia response, an endogenous program evolved to adapt to limited oxygen availability. 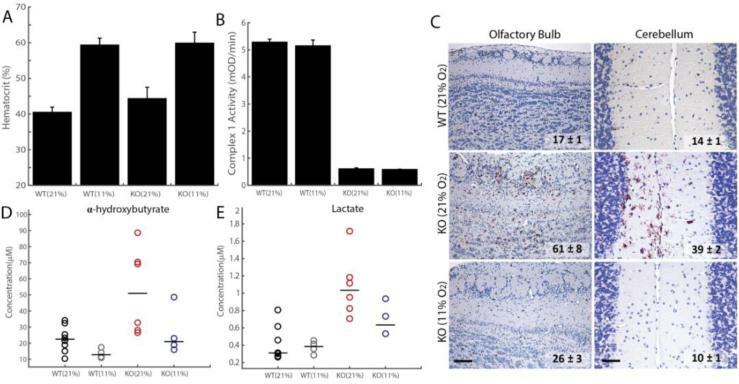 Genetic or small-molecule activation of the hypoxia response is protective against mitochondrial toxicity in cultured cells and zebrafish models. Chronic hypoxia leads to a marked improvement in survival, body weight, body temperature, behavior, neuropathology, and disease biomarkers in a genetic mouse model of Leigh syndrome, the most common pediatric manifestation of mitochondrial disease. Further preclinical studies are required to assess whether hypoxic exposure can be developed into a safe and effective treatment for human diseases associated with mitochondrial dysfunction.